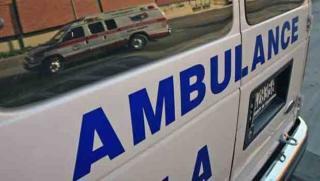 A collision between a boy on a bike and a vehicle Tuesday afternoon in Antioch sent the boy to a hospital, a spokesman for the Contra Costa County Fire Protection District said. The collision involving a boy about 11 years old was reported at 2:57 p.m. at East 18th and Wilson streets, fire district spokesman Steve Aubert said. The boy was taken to a hospital by ambulance.